In this section you can find out more about what we do, who we are, and where we come from. We teach Muay Thai, obviously, but more than that, we offer people a chance to live and learn from the Thais and to be part of their culture. Because Muay Thai is not just a sport, it is a way of life. After a few days in the camp you can feel this very strongly, and begin to take part in the Muay Thai lifestyle. Rawai Muay Thai is a traditional Muay Thai gym, owned and operated by Thai people. Tuk, the owner of the gym, was a fighter and now teaches to the new generation of boxers. His brothers all have helped in the gym, and most of the trainers also competed in the professional boxing arena. Growing up as a boxer Tuk met many other athletes, some of whom have come to teach with us and form part of our team. Rawai Muay Thai has been around for a long time. We were one of the first gyms in Thailand to teach everyone who was willing to learn, not only male Thai fighters. We are proud to have been trailblazers in the opening up of this wonderful sport, to women especially, who were barred from gyms in the past. We used to be located in Phuket, but after 10 years, we moved to Khao Lak. Phuket has grown and is too busy, in our opinion. To focus on your training, you need a quiet place, with few distractions. Khao Lak is just that, set in the Andaman Coast, it offers nice beaches to relax in, lush vegetation and a small town with enough amenities to make your stay enjoyable. Rawai Muay Thai trainers take great pride in their work. They are patient and friendly and can teach beginners to professional fighters. They have perfected their craft, after many years of hard work as fighters and now as teachers. Meet the team. We offer extra services in the camp like Thai massage, meal plans, scooter rentals, Muay Thai gear shop, airport transfers and more. Take a look. Rawai Muay Thai takes great pride in their students, especially their sponsored fighters who live and train in the camp. Keep up to date with fight results of Rawai Muay Thai fighters here. 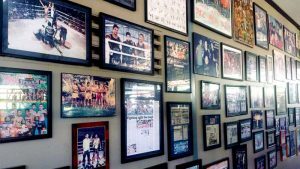 Learn a bit about the history of Rawai Muay Thai gym, from its early days back in 2003 to today. 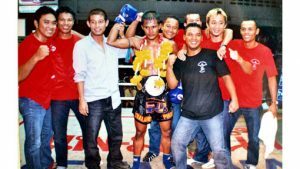 As one of the first gyms in Thailand to teach foreigners, Tuk Rawai and his brothers were part of a movement that placed Muay Thai in the world stage. Read more.